Management 管理學新生: " 菲律賓總統Rodrigo Duterte： 12000 毒販被殺：“My only sin is the extrajudicial killings.” 批評者關起來就沒事；看著價值5百50萬美金的走私品 (名牌汽車等)，當面被輾碎"
" 菲律賓總統Rodrigo Duterte： 12000 毒販被殺：“My only sin is the extrajudicial killings.” 批評者關起來就沒事；看著價值5百50萬美金的走私品 (名牌汽車等)，當面被輾碎"
That was President Rodrigo Duterte of the Philippines, above, apparently defending his brutal crackdown on drugs that has left an estimated 12,000 people dead. His explosive statement, which seemed to confirm what human rights groups have long accused him of, could add momentum to two cases filed against him at the International Criminal Court. Angered by the charges, he pulled the Philippines out of the court in March. The president didn’t elaborate on what he meant, but went on to reiterate that he wasn’t planning on halting the drug war any time soon. • President Rodrigo Duterte jails a critic. 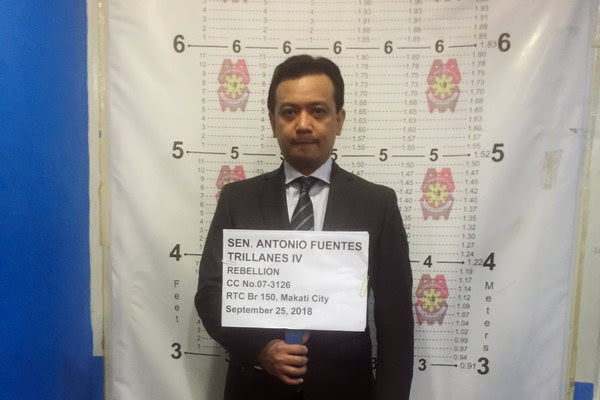 Antonio Trillanes, above, a senator in the Philippines and a prominent opponent of Mr. Duterte, was arrested this week after a dramatic political standoff. He is the second senator to be jailed after challenging Mr. Duterte’s antidrug crackdown, which has left thousands dead and drawn international scrutiny. Mr. Trillanes, a former naval officer, led two uprisings against government corruption and was granted amnesty in 2011. Mr. Duterte ordered his arrest this month, declaring the amnesty invalid. 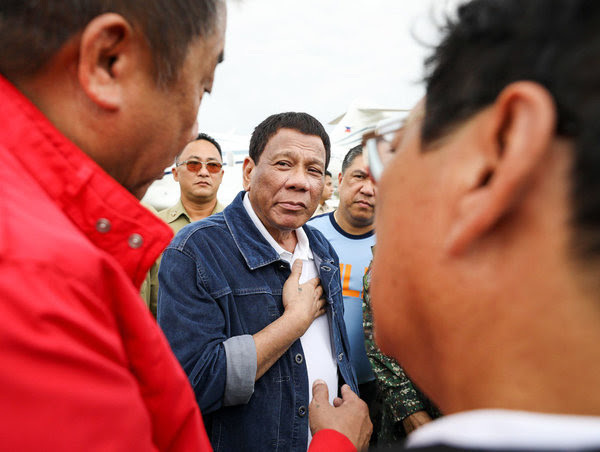 2018/02/13 - President Rodrigo Duterte on Tuesday said he would enforce a ban on the auction ofsmuggled goods. 劉強東Richard Liu / Liu Qiangdong "強姦指控醜聞"